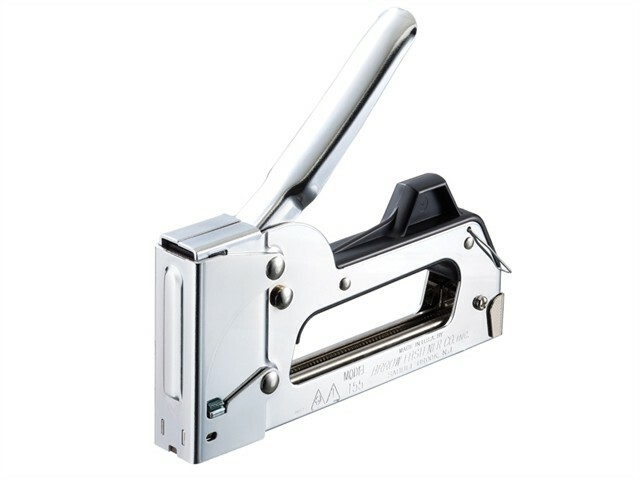 The Arrow T55C medium-duty all Chrome Tacker Gun with all steel construction and durable chrome finish. It has a hand contoured handle with moulded plastic handle stop, safety handle lock, visual refill window and a jam resistant mechanism. Fires: T50 Staples: , 8, 10, 12, 13 and 14mm (ceiltile).